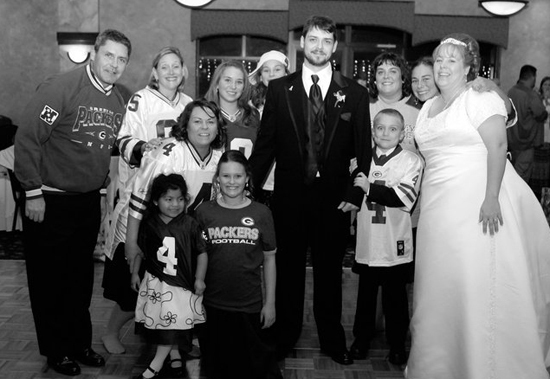 Two weeks ago, we asked readers of Upper Deck’s Blog and Facebook pages who were fans of the Green Bay Packers to show us just how devoted they were to their favorite football team. On the line was a Green Bay Packers full-size helmet that would be autographed and personalized to the winners by current-day Packers quarterback Aaron Rodgers! Well, after the initial entries were received, an internal judging committee at Upper Deck got together to review all the submissions. After a few back-and-forths, we discovered that all the entries were worthy of something special, so we dug a little deeper and figured out a way to get two more items for Rodgers to autograph and personalize: a regulation NFL football (second prize) as well as a Packers mini-helmet (third prize)! A week ago this past Monday, Upper Deck’s Athlete Relations Team met with Rodgers the morning after Green Bay’s blowout win over the Dallas Cowboys in Big D and the prolific passer was only too happy to sign each of the three prizes for Upper Deck’s faithful followers. Here are the individual photo entries along with the corresponding prizes each walked away with. Congratulations to all! 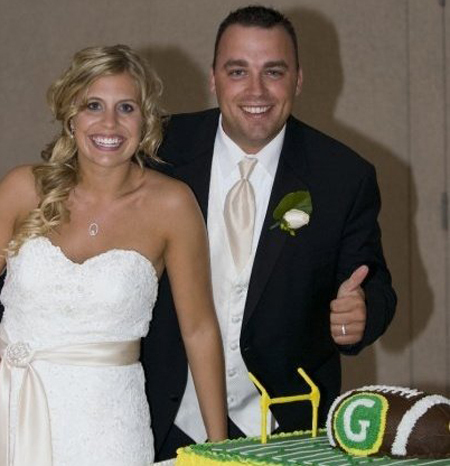 Jeff and Allison: Congrats on your cool wedding cake and for walking away with top honors in Upper Deck's Packers Contest! 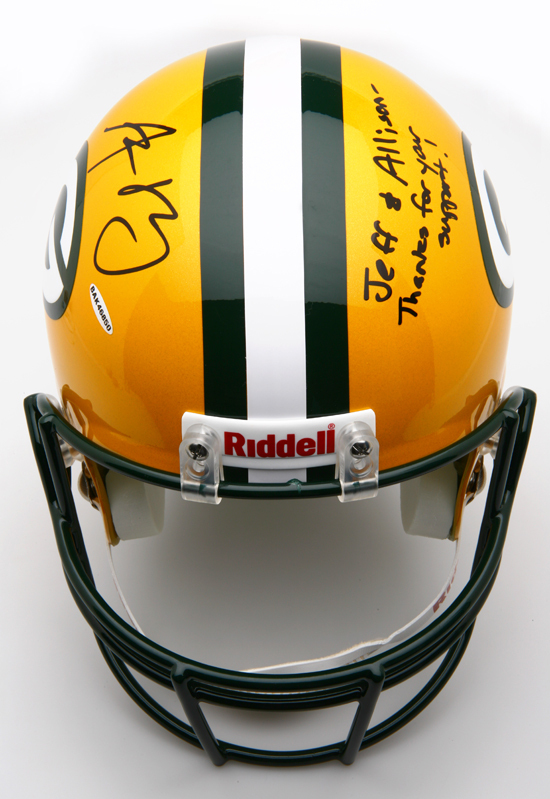 Grand Prize: Rodgers was only too happy to personalize this full-size Packers helmet to Jeff and Allison! 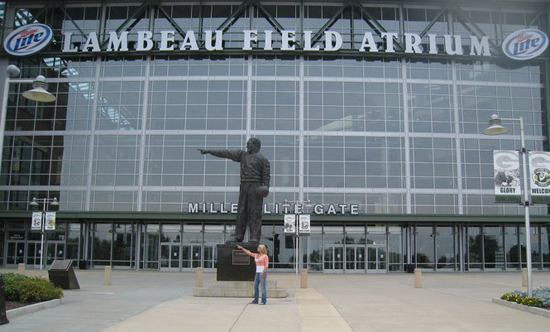 Pat's the Man: Green Bay Packers fans just seem to migrate to this loyal Lambeau Field disciple! All the Best: This signed football from Aaron Rodgers should certainly become Pat's newest prized possession! Here's Looking at You Kid: Emily pointed her way to a third-place finish in Upper Deck's special Packers Contest. 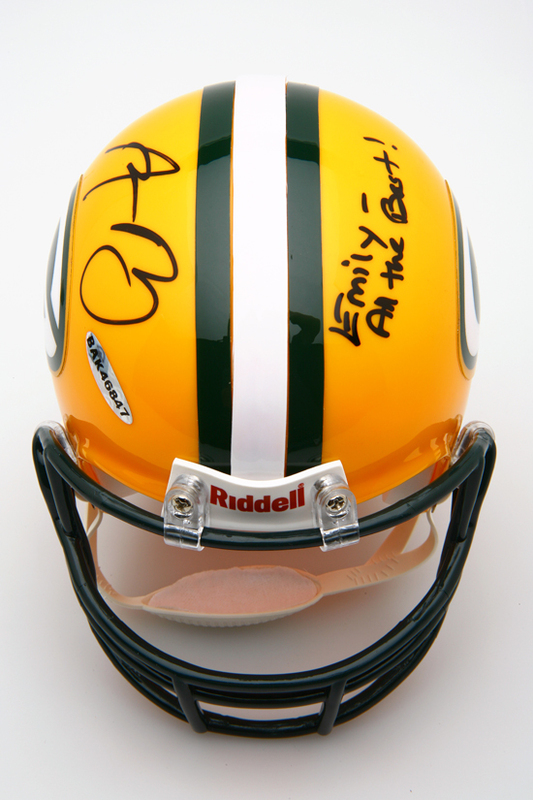 Authentic Guaranteed: Emily's well-earned prize consists of this autographed and personalized Packers mini-helmet from Aaron Rodgers. Stay tuned for more cool contests (and super-cool prizes) only from Upper Deck! WOW !! Great pose and I can “feel” the intensity!